The equine world has seen some excellent advances in technologies in recent years. From getting your horse ready for race training to monitoring how comfortable they are while wearing a rug, there are all sorts of devices that could be handy for your four-legged friend. At The Insurance Emporium, we’re always keen to know about anything that could improve the lives of equines. That’s why we spoke to our horse health expert to find out what new technologies are worth getting excited about. This gadget could be handy for checking the fitness of your horse. In turn, the Estride Tracker could help you work out how to improve your riding and help to keep your your four-legged friend healthy. 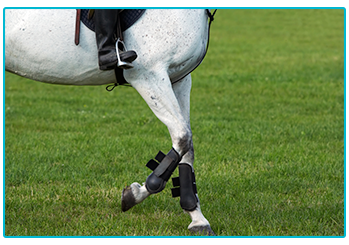 Estride works using nodes placed in your horse’s boots that connect wirelessly to a controller and collect data from your animal’s leg movements. The device could be used for a variety of equestrian activities, including hacking, training and competition. Estride can learn and track your horse’s stride and riding patterns and then give you some recommendations to improve your riding style. The data that your tracker collects is stored on a personal cloud portal called MyEstride, which can be used on PCs, Macs, tablets and iOS and Android smartphones. Young horses with a future in racing ahead of them could get extra preparation before their training starts with Kurtsystems. This system is a six furlong-long monorail featuring cabins with berths that young horses can be connected to with loose reins. The unit starts off at a walking pace for the horses and can reach a top speed of 35mph. Kurtsystems was developed by racehorse owner Mehmet Kurt at Kingswood Stud in Lambourn with a view to strengthening young horses’ musculoskeletal systems and helping to prepare them for traditional race training. By using this system, the horses can build up their strength in a closely monitored and controlled environment without the weight of a jockey or the risk of injury due to rider error. Kurtsystems could even play a role in rehabilitating injured horses! 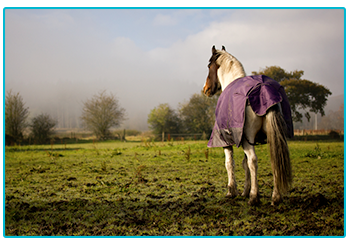 We’ve previously written about how to rug your horse and this device could help make choosing the right rug for your four-legged friend easier. The Be Connected rug sensor and app lets you check the temperature and humidity under your animal’s rug, which will let you know whether you need to put a warmer layer on them or a thinner one. This system uses a specially-designed shoulder bib, which secures a sensor that is placed next to your horse’s skin. The sensor collects data on your animal and uses Bluetooth to send it to your smartphone. If your horse gets too hot or too cold, you’ll get an alert on your phone. Using the free mobile app that accompanies this system, you could also create a profile for your horse so that the system can adjust itself to them. Another device that could be useful for monitoring your horse’s health and wellbeing is the Orscana by Arioneo. This sensor could help you choose the correct rug for your four-legged friend depending on the conditions and whether your animal is going to be in a stable, a paddock or in transit. 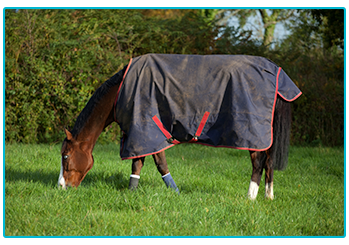 The Orscana is designed to be used with any rug and can monitor your horse’s movements, temperature, stress levels and the humidity under their rug. It can also predict what kind of rug you should put on your animal by analysing data collected during the previous night along with weather forecasts. The device can send data from your horse to your smartphone via Bluetooth, as long as you’re within a 100-foot radius. With advances in technology, it is promising to see new innovations popping up that can help to improve the health and wellbeing of horses. Of course, if you have any concerns about your animal’s health then it is well worth asking your vet about these things. Ensuring that your horse is happy and healthy could help you enjoy many more magical adventures together! This blog is in no way sponsored, endorsed or administered by, or associated with Stride Innovations Limited, Kurtsystems, Decathlon or Arioneo.